Saffron Herbal Soap is topical skin care soap with rich natural fragrance.Saffron has wound-healing and antioxidant properties. It is an anti-aging agent and neutralises free radicalsHoney has an antiseptic and antibacterial property. Sandal has an antimicrobial property, which is used to clear blackheads and spots the skin. - It enriched with the goodness of exotic kashmiri saffron, the most precious spice in the world. 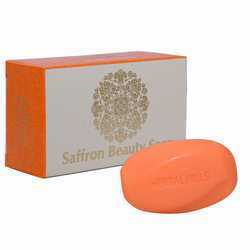 Aster Luxury Saffron soap improves complexion and make skin radiant and glowing. 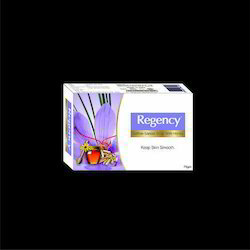 This soap gently removes impurities from the skin and effectively fades away blemishes and dark spots. It has mild kashmiri saffron fragrance that lingers all day long. - Keep your skin healthy & glowing. Transparent soap made by adding original saffron strands for smooth and shining skin. We offer Aloe Vera Saffron Soap, Mainly Saffron is being used in dermal care since long time and is known to add radiance and smoothness to the skin. The Aloe Vera Saffron Soaps offered by us are enriched with the qualities of exotic Kashmirs Saffron blended with the Aloe Vera Extract. These are helpful in pampering skin with a nourished glow and its aroma stays all day long.